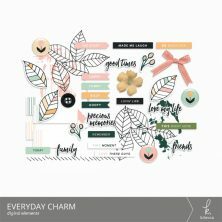 A set of super cute, hand drawn digital elements that can be used for digital scrapbooking or as print and cut stickers for planners and paper craft projects. 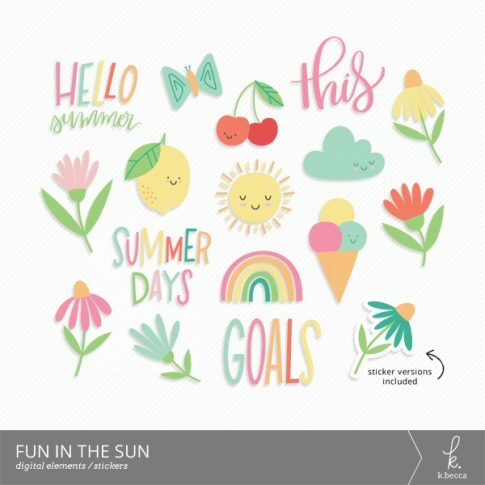 Includes 17 hand drawn digital elements and 17 hand drawn sticker elements, plus a grouped SVG sticker file with coordinating cut files for printing and cutting. 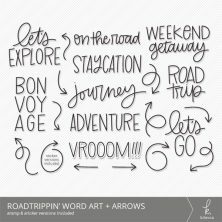 A grouped, high resolution PNG version of the sticker file with a coordinating trace file also included.